Mac Miller’s sophomore album Watching Movies With the Sound Off will be coming out this Tuesday, but will it stack up against J. Cole’s and Kanye West’s Yeezus? In the first of three previews I will breakdown each album track by track. In the first track, The Star Room, Mac introduces us to what the album’s message will be. The lyrics of this track are a bit provocative and not like classic Mac. The beat though saves the track in my opinion, but this track wasn’t as memorable as previous intro’s he’s had in past mixtapes and his first album Blue Slide Park. The next track is a bit better than the first, but still doesn’t really have that Mac Miller feel. The hook is catchy with Mac describing a bird in the sky where the beat picks up is definitely the best part of the song. The piano and drum kick in the background is also a good touch to the beat. This is the track I was waiting for and it finally came. 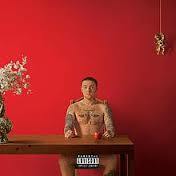 Three songs in, Mac starts to rap like his previous soundtracks. He morphs his voice to sound deeper but it works with the smooth beat. Earl Sweatshirt blends well for the hook with Mac in the background of the beat. Somebody Do Something, Mac’s first single off the album, has been one of my favorites since it came out in late April. This song basically describes Mac’s journey as an artist, where he has come from since his first mixtape and a look towards what is coming for the 21-year-old. The beat and the hook are what makes this song so great and the verses between has a very good flair to go along with the message of the song. After two very good songs, Mac takes a step back with Bird Call. Not very impressed with this track, the beat is catchy but not a huge fan of the lyrics. Definitely a song to skip over. After a disappointment in Bird Call, Mac gets back on track with Matches. Ab-Soul starts off the song with his verse and then it smoothly goes into Mac’s track. The lyrics remind me of old Mac the way that Mac flows with the incredible beat. Not a huge of the hook though. After listening through this whole album, this track is by far the best rap song Mac has on the album. The lyrics flow very well with Niki’s soft tone incorporated with the beat. Her hook is also a great addition for this up-incoming artist. A slower song of Mac’s are always the best. Mac follows I am Who I am with the beauty of a track. Back-to-back gems, Objects in the Mirror is my favorite song off WMWTSO. The Pharrel produced beat really brings a smooth and relaxing listen with Mac’s strong lyrics. The longest song off the album is also another gem. This one really reminded me off something that was off of Mac’s previous mixtape Macadelic. The song has a smooth beat with great lyrics, messaging things like a change in government and referencing the Addams Family’s Cousin Itt. The only thing I really like about this one is Q’s verse and the beat. Not a huge fan of the flow of the song and seems like Mac could have done better with his lyrics, also hate the hook. The title track and second single of the album really brings the back half of the album to what Mac wants to portray. The succeeding songs are a lot slower but Watching Movies has one more classic song before he gets into some real deep lyrics with tracks 12-16. The beat of Watching Movies is great with Mac’s two verses. This self produced song by Mac is slow but picks up towards the middle of the song with Jay Electronic’a verse. Jay goes into the song with lyrics that are very good in my opinion but the song lacks something of a flow. Not one of my favorites. An ode to Reuben Mitrani a friend of Mac’s who passed away last year is a song that is very smooth and done very well lyrically. You can tell Mac went through a lot of feelings making this song with the song reminiscent of what could have happened if Reuben lived on and the hook a remembrance of what their life together was like. Another self produced by Mac, Someone Like You was a song previously released off of Mac’s sound cloud but was remastered for the album. The addition of more bass in the beat makes the song flow a lot better than the original. I loved this song when it came out and I was very pleased to see that the remastered is so much better. The weakest song in the backhalf of the album, Aquarium was great but compared to the other 5 songs it doesn’t stand up. The beat is very chill and smooth but I don’t really understand what Mac is trying to say. The lyrics seem all over the place but they flow very well. Verdict: Watching Movies With the Sound Off was definitely a masterpiece in my opinion. I definitely suggest picking this one up on Tuesday June 18. As a long time Mac fan, I can see his progression as an artist and I really like the way that he has grown. The deluxe version also included three extra songs including Gossbumpz, O.K. featuring Tyler the Creator and Claymation. All three are good in their own way but if you’re not a huge fan the deluxe version isn’t necessary. Tomorrow I will be reviewing J. Cole’s Born Sinner so look out for it.